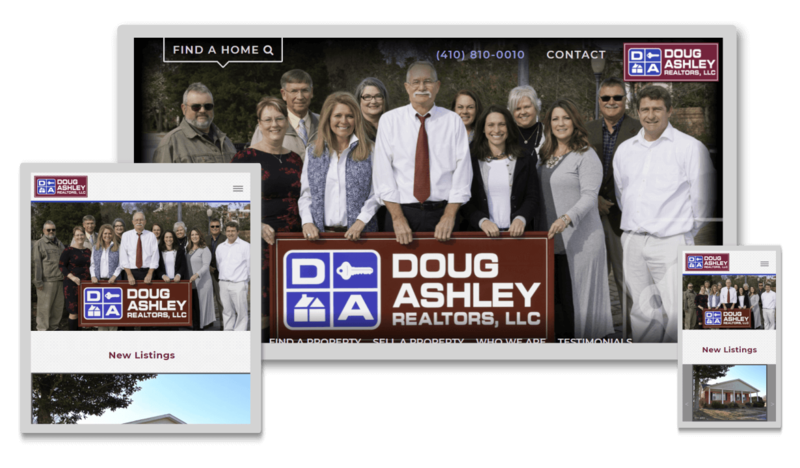 Doug Ashley REALTORS, LLC is a real estate business located in Chestertown, Maryland that focuses on people and relationships. Their warm, friendly and caring demeanor is obvious through their personal interactions, and they needed a website that would radiate those feelings as well. While keeping much of the same copy from the previous version of their website, we updated the visual affect with large, personal photos and colorful icons. Images of people smiling and interacting along with large images of Doug Ashley’s current listings help to make the website less technical and more personable. Once the design was completed, Doug had us start on an ongoing optimization service for his website. Understanding that websites are a worthy investment, he set us free to test the website’s designs and call-to-actions in an attempt to boost leads and sales for his business as well as increase the site’s search engine rankings.